This is that intangible asset that a company has to build, over the years and maintain it throughout their journey to stay afloat in their market. 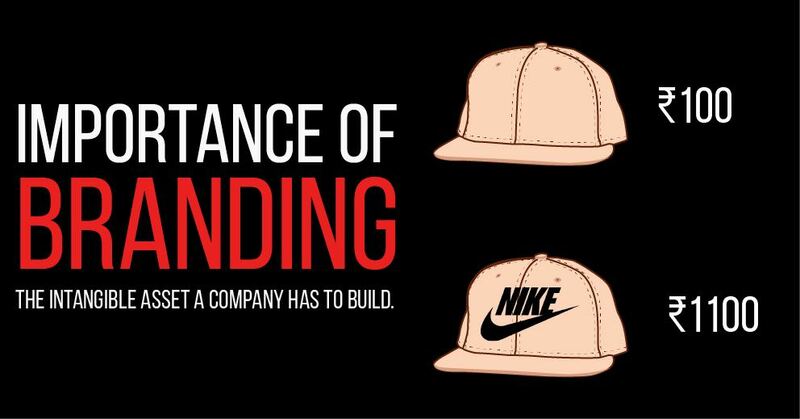 The effect of what an organization does rather than the cause it follows is branding. Basically it is what people think of you on an emotional level. One very important notion that brands carry is that they are ‘Experiential’, so it builds an opportunity for the business to build their brand every time their consumer uses or sees their product i.e. every interaction is a branding opportunity. When a company takes the task of building a brand they start working on updating their technologies and making sure of incorporating every feature they can get their hands on, rather than building an emotional connect of the brand of their product or service with the customer. Let’s take the example of Starbucks,Starbucks is into the coffee business since decades but have you ever seen them marketing the taste of their coffee, NO, they have built a brand round the globe of ‘Serving People’ rather than ‘Serving Coffee’. Same is the case with Apple, Nike, Harley Davidson, Coke and many more. Basically you don’t even realize that you are calling out the name of the brand instead of the product itself. We live in a brand saturated world, this is a short part of my daily routine and let’s count the number of brands we encounter daily without realizing them. I Woke up due to my Panasonic alarm, I tuned to CNBC , I grabbed my oral-b put some Coalgate on and took a shower with my head and shoulders , then I applied some Axe, had a glass of bournvita, a bowl of cornflakes put on my nikes got in my Avon cycle rode to Starbucks.